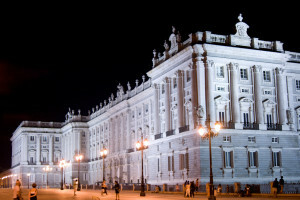 Madrid isn’t a very expensive city, especially if we compare it with other capitals in Europe. You won’t spend more than 1.50 euros for a coffee in a regular bar or more than 1 euro for a bottle of water in a shop. Best of all is that you can visit many touristic spots and spend nothing. 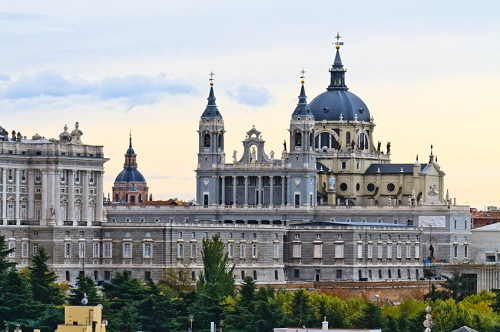 These are our top 10 free places in Madrid. Even if this is one of the best galleries, you can visit it for free the Prado Museum. The regular ticket is 14 euros, but if you get in during the last two hours of the day, generally from 6PM to 8PM, you will pay nothing. This is enough time to admire the paintings by Velázquez, Goya, El Greco, Tiziano and Rubens, among others. Reina Sofia museum where you can say the famous Guernica painting by Picasso. There are other smaller museums that can be added to this list of 10 free places in Madrid. 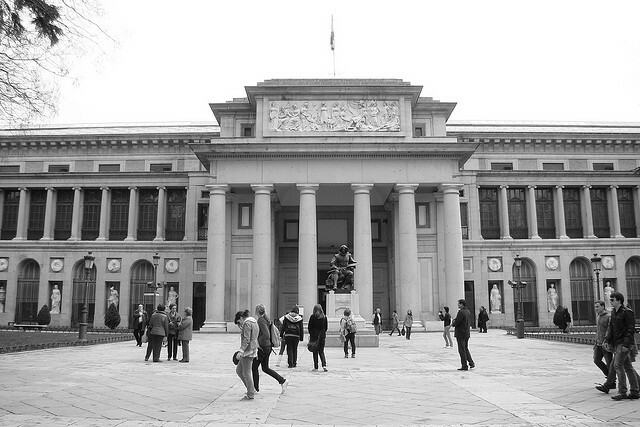 Madrid’s History Museum is one such example. It shows you the history of the capital through amazing models and paintings. 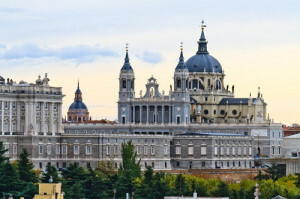 This museum houses an important collection which gives an idea of the evolution of Madrid both historically and from the perspective of its urban development. This house-museum, where the writer Lope de Vega was born, is a good chance to learn about a 17th building. They organized guided tours at no cost. 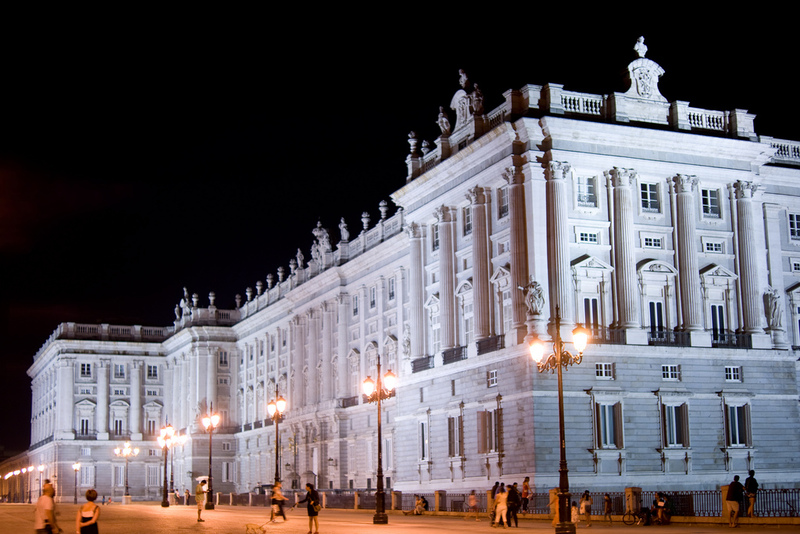 From Monday through Thursday, European and Latin American citizens can visit for free the Royal Palace, this amazing building. Did you know that there is an Egyptian temple in the heart of Madrid? And did you know that you can get in for free? You will be amazed by its hieroglyphs and at dusk you can enjoy from its gardens. There are no ticket boxes at the entrance of the Almudena’s Cathedral. They ask for 1 euro as a donation, but it’s not required. 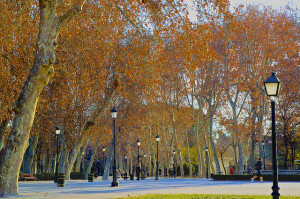 There are different parks and gardens that are part of this list of free places in Madrid. They open early in the morning and close late at night. 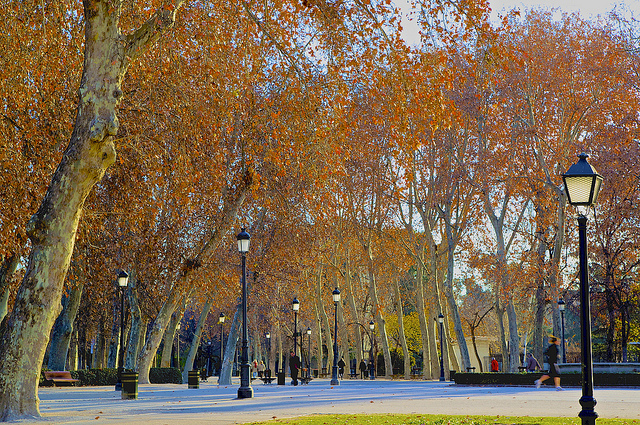 One such example is the Buen Retiro Park, the former gardens of an old Royal Palace. Campo del Moro and Sabatini Gardens The gardens of the current Royal Palace can be visited for no charge and you will have the chance to enjoy the building from other amazing points of view. This is the newest park in the city. It spreads along the Manzanares River and offers you interesting views of the Royal Palace and the Cathedral as well. Beyond that, there is a greenhouse with exotic plants without cost. As you see, all these free places in Madrid will let you discover the city without paying any euro. Enjoy and save money!